This second-floor, two bedroom apartment is located within a recently renovated antique Olive Oil Mill. The apartment has been designed to make the best use of available space and includes beautiful high wood beamed ceilings an array of fitted storage solutions – including cupboards and wardrobes. Alongside the two bedrooms, this property includes two bathrooms, an open plan kitchen and lounge area and a combined laundry room and offers a total of 80 square-metres of internal space. The price also includes a private garage and separate storage facilities. 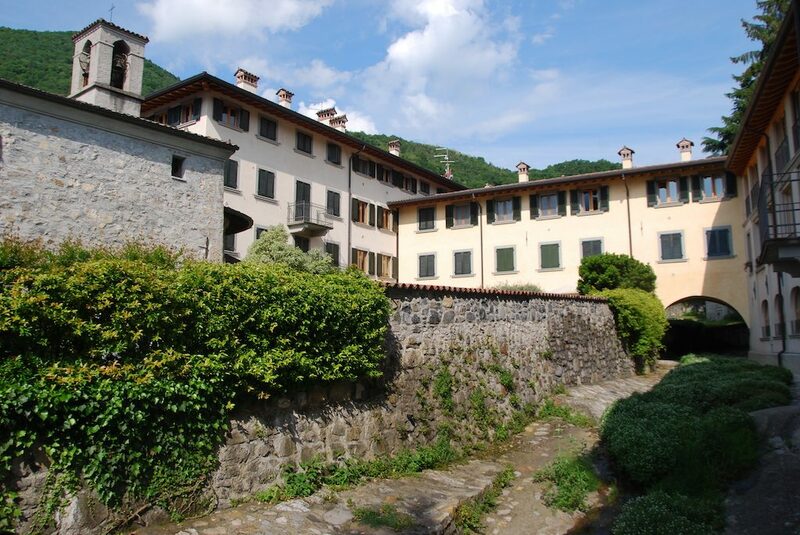 Located on the bank of Lake Iseo in Riva di Solto (and only 15-minute drive to nearby Lovere), this characterful property offers spectacular views of the lake – a hidden gem of northern Italy. It also offers views into Riva di Solto itself, with windows overlooking a historical 12th-century church and a tranquil babbling brook. Enquiry today to make sure you don’t miss out on this incredible property opportunity. The medieval town of Riva di Solto is on the northern side of Lake Iseo and offers a range of bars, restaurants, shops, as well as a small supermarket. Public transport is plentiful thanks to the nearby ferry that allows you access to other towns on Lake Iseo. Riva di Solto is also well placed for driving, with many areas easily accessible by care, including Bergamo, the ski slopes at Montecampione and even Verona and Venice. For international travellers, the airport in Orio al Serio is only 30 minutes away and offers numerous European flights.